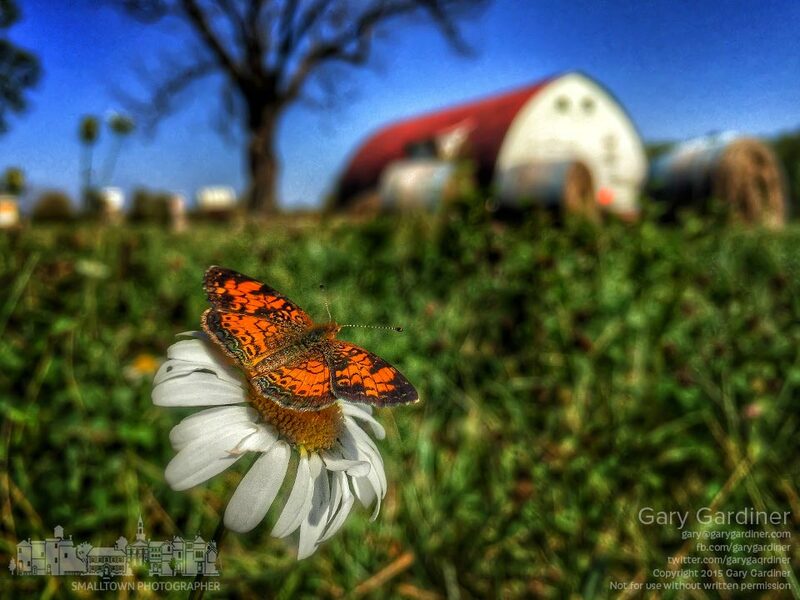 A butterfly briefly sits on a daisy in one of the hay fields at the Braun Farm. My Final Photo for Oct. 12, 2015. Always a treat receiving your wonderful photos.